Earl E. Kleckner, age 88, former owner and operator of Kleckner Fire Extinguisher Sales and Service of Waubeka, WI passed away Wednesday, January 30, 2019 at the Village Point Commons in Grafton where he had lived the past six weeks. He was born on December 15, 1930 in the town of Belgium, WI; son of John and Catherine Schumacher Kleckner. In his youth, Earl worked at the C. Reiss Coal Company in Sheboygan, the Milwaukee yard for the Chicago Northwestern Railroad, built silos and Power Products in Grafton. 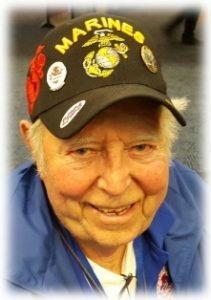 During the Korean War, Earl served as a Staff Sergeant in the Marines from October, 1951 until October 1953. He remained in the Reserves until 1959. During this time he married Mary Jane R. Wach, of Waubeka on February 23, 1952 at St. Rose of Lima Catholic Church in Fredonia. For many years, Earl was a Machinist for Simplicity Manufacturing Company in Port Washington. He was a member of the International Association of Machinists and Aerospace Workers Local 1430. In 1972, Earl started his fire extinguisher business and continued its operation for over 30 years with the help of his wife Mary Jane. He was a longtime parish member of St. Rose and an usher. He was past commander of the Warren-Kane American Legion Post 410 of Fredonia and member and officer of the Waubeka Fire Department. Earl and Mary Jane valued time spent together up north. He enjoyed his travels around the state & USA continually adding to their clock & cookie jar collection. Earl was always working on something; even cuckoo clocks right to the end. He is survived by his children Dennis (Peg) Kleckner of Sturgeon Bay, Colleen (the late David) Pflug of Green Bay, and Deb (Dale) Jacoby of Random Lake; 9 grandchildren Amanda Jannene, Nicole Martin, Samantha Brown, Jason, Justin, Kevin and Tom Kleckner, Josh Pflug and Nathan Jacoby, 4 great-grandchildren Michael, Kameron, Maevh and Sawyer, his sisters Lorraine (the late Donald) Large of Port Washington and Eleanor (the late Richard) Prom of Belgium. 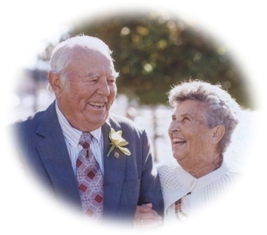 Earl is preceded in death by his wife Mary Jane on April 1, 2016; his son Timothy, his brothers Henry Kleckner and Robert and his wife Myrtle Kleckner; his sisters Marie Kleckner and Rosemary and her husband Henry Petesch. From Mary Jane’s family, he is preceded by her two brothers and sister. Edward and his wife Agnes Wach, Aloys and his wife Armina Wach, Loretta and her husband Clarence Spies. A Mass of Resurrection will be celebrated at 12 Noon Saturday, February 9, 2019 at Divine Savior Catholic Parish – St. Rose Chapel, 305 Fredonia Avenue, Fredonia, WI. Reverend Todd Budde will be the celebrant. Visitation will be held from 9-11:45AM Saturday AT CHURCH prior to Mass. Interment will take place at St. Rose of Lima Catholic Cemetery in Fredonia. Memorials to the charity of givers choice appreciated.